Everyone knows the effects of second-hand smoke, but not every gardener is aware of the potential dangers of second-hand herbicides. Eco-friendly gardeners make extra efforts to maintain the weeds in their yards with non-chemical methods such as spot treating, hand-pulling and hoeing. But an article in a recent edition of Maryland Home and Garden, a newsletter from the Home and Garden Information Center of the University of Maryland explains how even gardeners who are making the right choices around their yards by eliminating chemical weed and pesticide products may be unwittingly adding poison to the planet. The article, entitled Gardener Alert! Beware of Herbicide- Contaminated Compost and Manure reports that unsuspecting farmers and gardeners have applied compost, manure, and grass clippings contaminated with herbicides. Here are the steps they advise to make sure that you aren't inadvertently using second-hand herbicides. 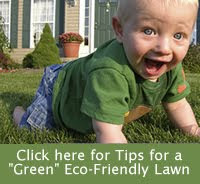 * Grass clippings can make a wonderful organic mulch and addition to the compost pile. Just be certain that the clippings you use were not sprayed with any herbicides. Don’t use neighborhood yard waste unless you’re sure it’s free of herbicides. * Herbicide-contaminated compost and manure do not look or smell unusual. Most farmers who sell or give manure away may or may not know if their animals grazed on grasses or ate hay sprayed with aminopyralid or clopyralid. Ask commercial compost suppliers if their products are free of herbicide contaminants. Maryland Environmental Service (MES) is the producer of Leafgro, a very popular yardwaste compost available at garden centers throughout Maryland. MES has Leafgro tested regularly by an independent lab and have not detected aminopyralid or clopyralid. * Bioassay test- this is the best way to test for possible contamination. You just mix some of the suspect material (hay, grass clippings, manure, compost) with a soil-less growing mix, dump it in a nursery pot, plant pea or bean seeds and observe what happens. Contamination is indicated if the seeds don’t germinate or seedlings emerge that are twisted and deformed. You can read the whole article along with other great information for local gardeners by downloading the Maryland Home and Garden newsletter here (pdf format).